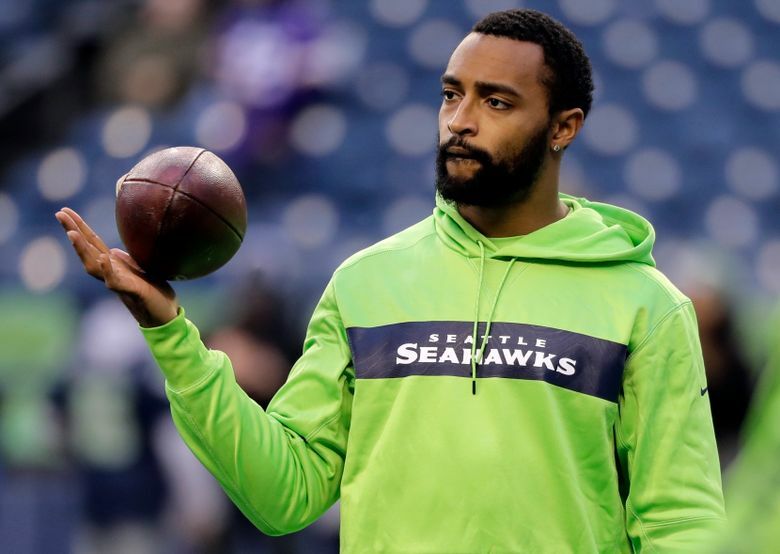 Seahawks receiver Doug Baldwin, who had knee and shoulder surgeries earlier this offseason, may be headed for even more work soon. Baldwin didn’t elaborate about the specifics, but NFL Nework’s Mike Garafolo then reported that Baldwin is scheduled to see sports hernia specialist Dr. William Meyers in Philadelphia in April with surgery a possibility. Baldwin battled abdomen injuries during the 2018 season, when he had at least six different injuries. Meyers also performed a surgery on Marshawn Lynch in 2015, when Lynch missed half the season, and also performed a surgery on Robinson Cano, among many others. Lynch’s surgery was essentially a two-month recovery for a sports hernia surgery, and if Baldwin were to need a similar procedure it would seem the timeline would leave him able to be ready for the season, if likely sitting out most or all of the offseason program. Carroll indicated at the time that Baldwin would be ready for the start of the 2019 season, saying when asked about the team’s overall health that tight end Will Dissly, who suffered a patellar tendon injury in a game last September, was the only real question mark. But any additional surgical work would obviously only add to the challenge for Baldwin to make it back for the 2019 season after he struggled with a multitude of injuries throughout the 2018 season, including issues with both knees that caused him to sit out three games, the first games he had missed in any season since 2012. The injuries and missed games resulted in Baldwin catching 50 passes, his fewest since 2013. Baldwin is under contract for two more seasons, but the Seahawks could well begin planning for a future without him this year — he will be 31 on Sept. 21. Baldwin also hinted a few times during the 2018 season that he knows his career is coming to an end, and likely sooner rather than later given his age and recent injuries. He has no guaranteed money in his contracts over the next two seasons, and Seattle could save $10 million against the salary cap if he were released before the 2019 season but after June 1 (with a dead cap hit of $3.1 million, meaning a savings of $6.9 million, according to OvertheCap.com), and can save $11 million against the cap (with a dead cap hit of $3.1 million) if he is released at any time before the 2020 season. After his best game of last season, when he caught seven passes for 126 yards to lead Seattle to a 38-31 win over Kansas City, Baldwin talked of what a rough season it had been. A few days earlier, after he had missed a game against Minnesota with a groin injury — presumably the injury he will be traveling to Philadelphia to have examined and possibly repaired — Baldwin had admitted that his football future was forefront on his mind. The Seahawks had free agent receiver Jordy Nelson in for a visit this week, but as of Wednesday afternoon it was unclear where things are headed. It’s thought the visit with Nelson has nothing to do specifically with Baldwin other than the Seahawks knowing they need to add some depth to their receiving corps overall and especially in adding a bigger receiver — Nelson is 6-3. Nelson, who was drafted by Green Bay when current Seahawks general manager John Schneider was in the Packers’ front office — also visited the Seahawks last year before signing instead with Oakland. The 33-year-old Nelson became a free agent last week when he was released by the Raiders — since he was released he would not factor into the compensatory pick formula. Seattle currently is in line to get four picks in 2020 as compensation for overall losses in free agency and there is a growing thought the Seahawks would like to keep as many of those as they can — any future signings of free agents whose contracts simply ran out would count against Seattle. Nelson is the only free agent receiver so far linked to the Seahawks. During the same segment, Kearse said he would love to return to the Seahawks, the team for which he played from 2012-16 before being traded to the Jets before the 2017 season — he is now a free agent after his contract ran out. But Kearse, who turned 29 in February and also played at Lakes High and UW, said he has not talked to anyone with the Seahawks.